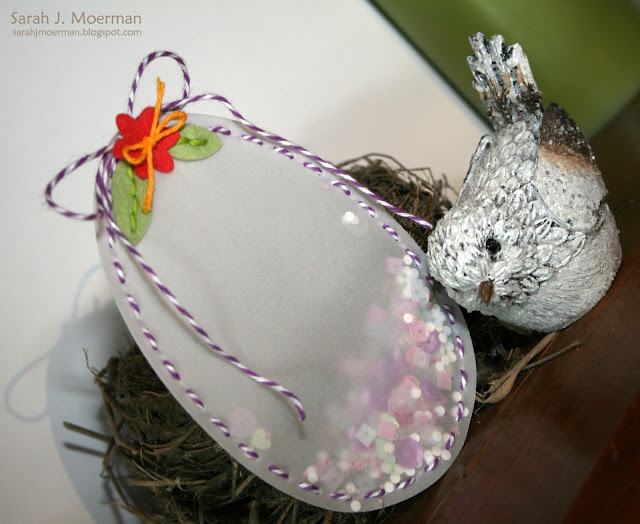 I'm stopping by to share a little shaker egg decoration I made using some new goodies from Simon Says Stamp's Reason to Smile Release as well as announce the winner of Simon's March Card Kit. This kit has so many fun goodies, and your card is just adorable, Sarah! Love those peeps! 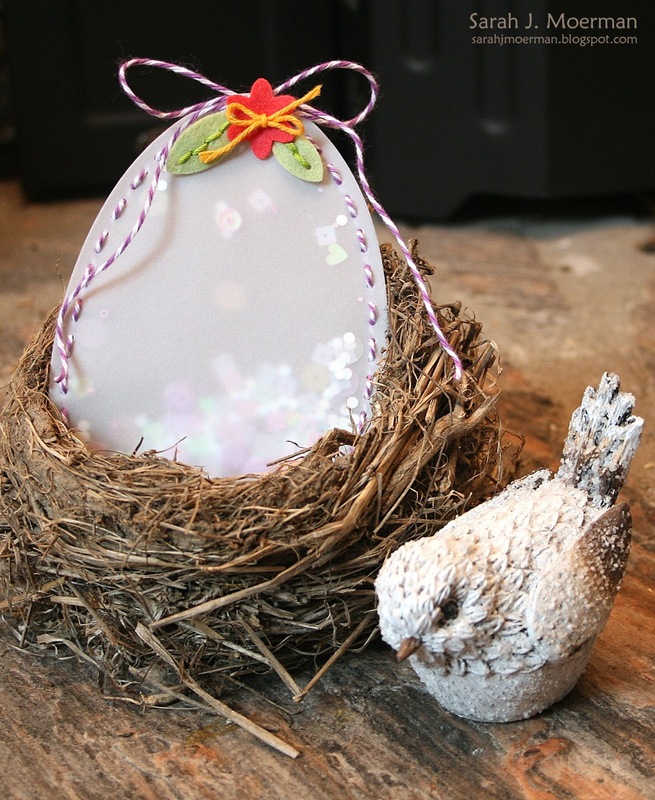 Here's the fun little decoration I made using Simon's Plush Easter Egg Dies and the flower from their Plush Button Egg Dies, along with Lucy Abrams Vintage Lilac Shaker Selections, Taylored Expressions Wool Felt, some twine, and vellum. Thanks for stopping by! I have a couple more posts planned for later this week in celebration of Simon's upcoming Spring Plush Release! What a fun idea to make a shaker egg! Love it!